Note: this is not the same thing as late filing - see Tax penalties: late filing because these measures are aimed at stopping people filing on paper returns. Online filing of the Employer's annual return forms P35 and P14 was compulsory for most employers for years including 2013-14. Some employers will have also been permitted to file their annual returns on paper. This has now been superceded by Real Time Information reporting and from 2014-15 employers must report under RTI and file a FPS or EPS for their end of year. HMRC will still issue penalties if P35 and P14s have not been received by 19th April 2014. From 2010/11 large employers are expected to file P45s and P45s online. Fines for failures apply from 6 January 2011 on. 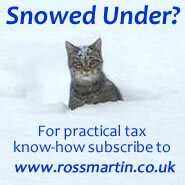 From 2011/12 small employers are also expected to file P45s and P46s online. Fines for failures apply from 6 January 2012. HMRC may impose a tax penalty for a failure to file a PAYE return online. The size of fine depends on the form or return and size of employer. The date on which fines start depend on whether the business is a large or small employer. Fines are raised on a quarterly basis. The size of penalty depends on the number of employees. There are exceptions for certain “care and support” employers and practising members of religious societies whose beliefs are incompatible with the use of electronic communications. 50 or more employees: online filing was complusory after 6 April 2009. Fewer than 50 employees: online filing is complusory from 6 April 2011. For sending details of a new pension or annuity that you start to pay.